Can you tell me how to get, how to get... to a super cute party for a very lucky little girl?! 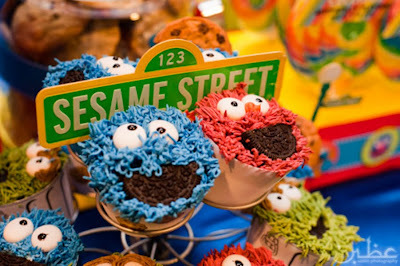 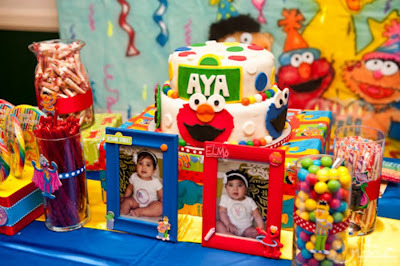 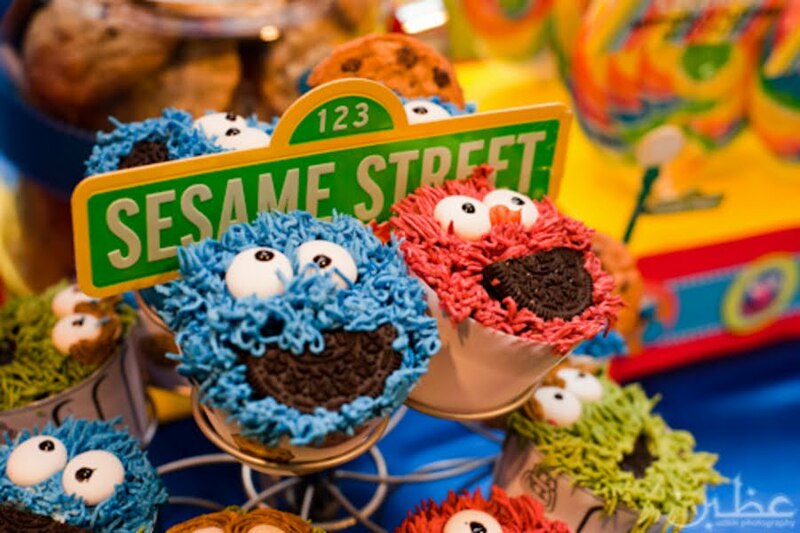 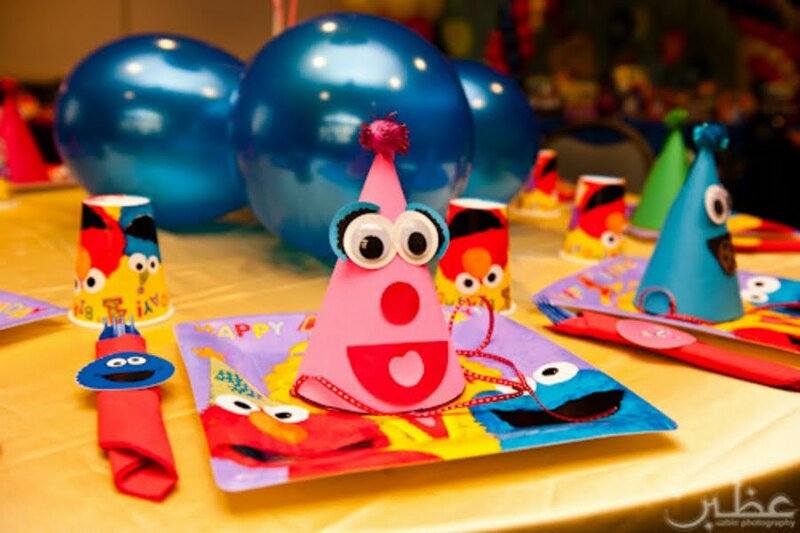 This Sesame Street party was completely done by mom, with some help from her friends and family. 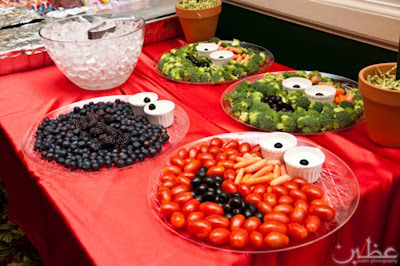 I appreicate that she didn't go overboard with a candy/dessert table, but added a big wow factor with a food display of character faces using strategically placed veggies! 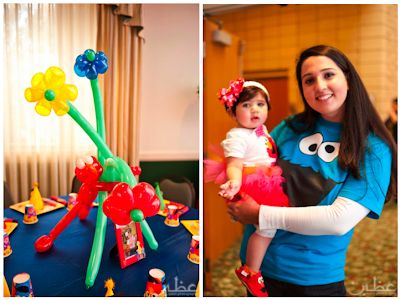 And that is a balloon Elmo holding flowers as the centerpiece. Giving (real!) 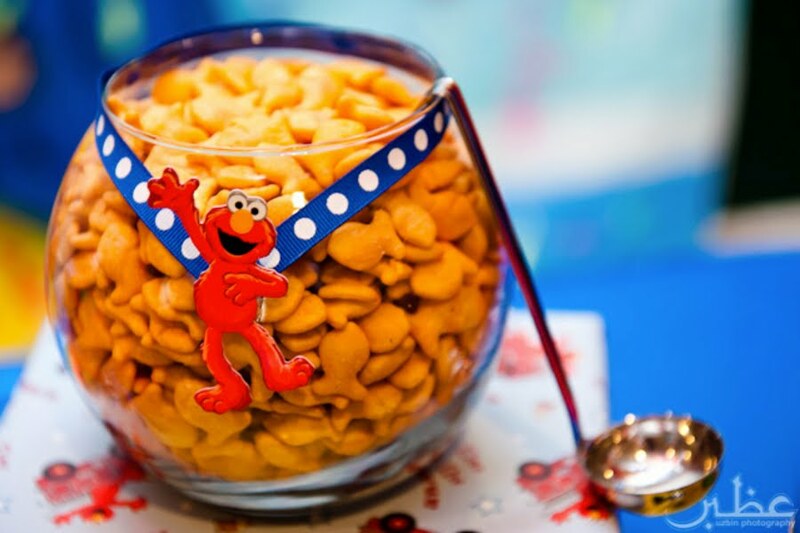 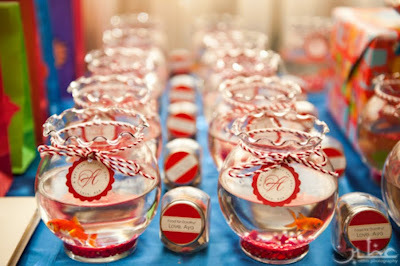 goldfish as favors is so clever and I bet the kids loved taking their own "Dorothy" home! 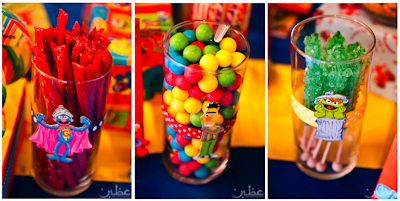 Enjoy the different party elements, captured by Uzbin Photography.